Imprinted Sportswear Show Long Beach is just a few short days away. We’re always excited to attend these exhibitions and see what the apparel printing industry has to offer. Not only can screen printing, embroidery, signage, and direct to garment print shops get a lot of value out of them – they're honestly a lot of fun! No matter what kind of apparel your business decorates, there's going to be something for you. But not enough print shops really take advantage of these events. So whether you’re going to Long Beach (come see us at Booth 3001 with Ryonet!) or are looking to attend another event soon – view it as an opportunity to really focus on your business and put it out into the world. You'll need to be ready to attack the show with a strategy that lets you get the most out of it. Here's how to do it. If you spend just 20 minutes a day researching the event before you arrive, you will know more than 95% of people attending the show. If you don't do your research and create a plan, it's very easy to get stuck at a booth for far longer than you meant to. Move quickly and with purpose! Bring your business cards, any merchandise you want to give away, fliers for your shop, and even a large bag to carry all of the swag and handouts you’ll get. Even better, create a presence online for that specific trade show. A landing page with a simple URL slug on your website will funnel people and businesses you meet at the show to exactly what you want them to see. You want to be ready to take advantage of any connections you make, new technologies you see, and unexpected opportunities that arise. Charge your devices and plan for everything taking a little longer than you expect. Most vendors also accept appointments. If you're planning a big purchase or are just dying to meet with a specific manufacturer, email them or use the trade show's website to set up a specific appointment. Once the show starts, things can get hectic quickly – so don't get lost in the shuffle. ISS Atlantic City runs from March 21st to 23rd during 2019. Every company that attends a trade show is trying to get its name and ideas into the world. There's fierce competition for attention. So how do you keep your bearings amidst the hectic trade show environment? Limit the focus to a specific theme. By narrowing the information you're trying to find and connect with, you can get more out of the event. Instead of wandering from booth to booth in awe at the amazing technology and flashy displays, you can delve deeper into specific topics. Improvement. How did people improve, grow, and change their shops for the better? This is an opportunity to find out what your peers and competitors are going through and how they're thinking about their problems. Failure. What didn't work for people and how did they fix it? Failure is the most diligent teacher – so how are other businesses dealing with it? Specific processes and tools. Got a question about screen exposure, or dying to know more about direct to garment printing? Pick one area of your shop that you're interested in investing in and focus on it. Business leadership. Looking to grow as a leader? Ask your peers about mentoring, hiring & firing, or how to handle challenges in customer communication. Marketing and sales. There's almost always services and companies at trade shows that offer help with sales and marketing. Trade shows are actually just large-scale marketing events. You can see firsthand what works – and what doesn't work so well. Finding great garments. Since so many manufacturers are out there, this is a great chance to discover new garments – and since they're aimed at apparel printers and decorators, there's more specific displays and garments meant for our industry. Don't let the trade show overwhelm you. Stay focused on your goals for attending the show. Find out which booths feel more like sales presentations versus the booths that have knowledge and content behind them – the vendor booths that grow your expertise are where you want to focus your time and energy. 3. Attend Discussions, Presentations, and Seminars. This is your chance to get real answers to hard questions. No conference is complete without a collection of speakers to blow your socks off. Yet far too many people skip these or don't find out about them until later. These discussions and seminars are the fastest and easiest way to get the most value out of the show. There will be genuine legends sharing their best knowledge from deep experience in the industry – you’ll get to meet them, ask questions, and get the real info straight from the source. Aim to get as much clarity as you can possibly get about every topic that still challenges you. Be sure to scour the list of presentations and see what interests you. These can be the only opportunity you'll have to ask questions to experts in an open setting. This a chance to explore topics and have discussions outside of your comfort zone! While it’s great to get your name out there, you’ll learn so much more by asking detailed and serious questions. It's highly recommended to draft a short list of questions you want to ask before you show up at the show. If you’re confused about a product, service, some part of your business, or even a specific aspect of apparel printing – this is the place to ask questions and get answers. The people exhibiting have tremendous amounts of knowledge about the products and services they provide, and they're excited to answer questions no matter how big or small they are. Attend Printavo's seminar. 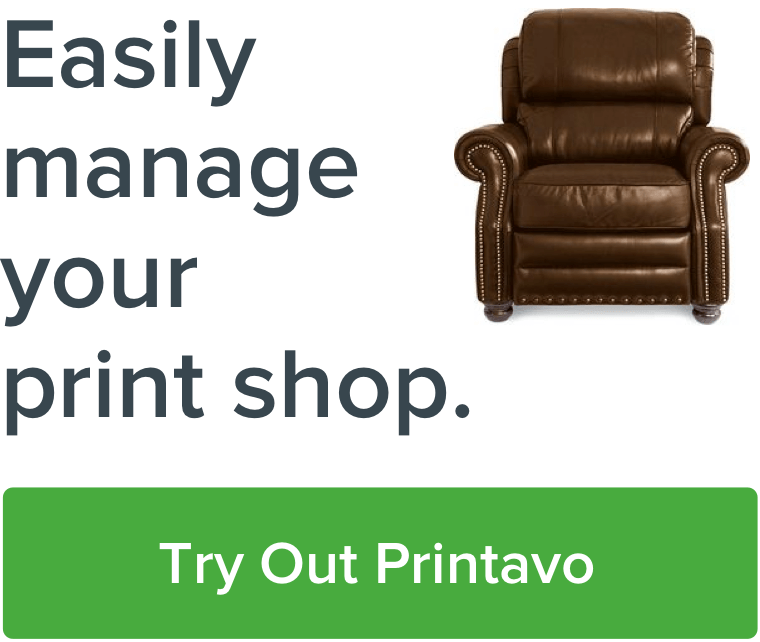 Steve Farag from Campus Ink and Bruce Ackerman, Printavo founder, have teamed up to give a seminar about simplifying your shop's workflow at this year's ISS Long Beach. It's on Saturday, January 19th from 4:30 to 5:45 PM. Get more info and reserve your spot here. 4. Connect Before You Meet Up. Want to make a lasting impression? Get in touch before the show. You don’t have to show up at a booth and give an introduction. If you're determined to connect, send an email with a headshot and your questions or ideas before the show. Go in to the show prepared to close deals. It's much easier if you've made your initial contact before the show – it's simply too hectic at trade shows to expect full and undivided attention that's good enough to make a lasting impression. Instead of using the show as an opportunity to start selling, treat the trade show like it's the final step in your sales funnel. Come totally prepared to close deals, whether you're the buyer or the seller. This seems like simple advice, but too many great bargains are left at trade shows because attendees aren't ready to close deals. Be ready to make moves. This an ideal time to connect with companies you already do business with. There's often special deals only available on the trade show floor. You'll get face-to-face interaction with manufacturers and suppliers. You can ask questions and give suggestions directly to the companies. These apparel and manufacturing companies desperately want to connect with you – a solid plan and an introduction before the show will focus your energy and efforts. Remember that networking doesn't have to happen on the trade show floor. Lunches and dinners are great ways to get one-on-one time with people you really want to interact with. The plethora of cocktail parties and social events are just another opportunity to make some powerful connections. 5. Follow up is Everything. We're thrilled to share Booth #3001 with Ryonet and ROQ at ISS Long Beach. You don't want to leave everything on the trade show floor and walk away with very little to show for your efforts. You want to get the most value out of every connection you made and person you met. That's why quick and serious follow up right after the trade show is so important. Keep a list of people you want to contact after the show. That stack of business cards shouldn't just accumulate dust on your desk. You may want to take pictures of business cards that you want to take immediate action on, or just a simple list of names and companies in a notebook. Write strong email templates so you can expedite your follow up. Instead of writing an individual email to each person you encounter, try utilizing a handful of email templates. You could have one template for peers, one template for manufacturers, one template for leads, and another for mentors or leaders you want to stay in touch with – the goal is to remain in contact and keep your conversation fresh in their minds. Don’t wait until you get home to send off that email or contact someone you met. Follow up as soon as you can. Send a contact email right after you meet. Follow up isn't limited to emails or sales tactics. It can mean making changes in your business, too. Take time to reflect on the show's content, as well. What did you learn? What new ideas or techniques were you exposed to? Which vendors were you most surprised by – either negatively or positively? Are there new trends and technology you can start to take advantage of? Digest the huge amount of information you'll walk away with over the course of the following week and make an action plan to get the most value out of the trade show. Ryonet is hosting a cruise party this year at ISS Long Beach. Don't overindulge! Yes, trade shows are a great opportunity to blow off some steam with long-distance friends. But you're really there for business! So stay healthy. This one seems easy. But there's plenty of opportunities to overindulge during a trade show. There's no lack of excitement and plenty of awesome parties. Do like your Momma taught you: Hydrate, eat well, get enough sleep, wash your hands regularly, avoid excess caffeine and alcohol, wear comfortable shoes and clothing, and be mentally prepared for a long weekend of socializing and networking. Beware that these events may tire you out, even if you don’t expect them to! You definitely want to enjoy and remember everything about the special environment that trade shows offer – so be at your physical best so you can perform at your highest level. Bonus Tip: M&Ms = Friends. Sometimes you just need to give them some candy. This is a fun tip we learned from another trade show warrior: you can literally sweeten the deal. Give out M&Ms (or your own preferred candy) to people you meet. Who doesn't want a sweet treat during a long weekend? The fun-sized bags of M&Ms have a magical power: they make (almost) everyone into an instant friend. Passing out a little pick-me-up makes for fast friends and easy positive impressions. Just be careful that you don't eat too many of them yourself! Apparel decorator trade shows are a ton of fun. They’re not just an opportunity to grow your business network – they are really an opportunity to make new friends and have an incredible experience with people that love the same industry you do. Printavo always makes an effort to attend multiple trade shows every year: see our trade show schedule for the year. They are simply so valuable for us. Even if you can't make ISS Long Beach 2019, consider attending another apparel decorators trade show this year. Between what you'll learn, the connections you'll make, or the deals you'll manage to get – it's simply a no-brainer.